Emmy-winning television/radio host, correspondent and producer Stacey Gualandi has come a long way since her first big scoop right out of Miami University’s journalism program: picking up horse manure as a P.A. on the set of the film Eight Men Out. Not quite the journalistic scoop she was looking for, but it did lead to another “inside” job as Molly Ringwald’s stand-in on the film Fresh Horses. That’s when she decided to move to Hollywood to be a television reporter/producer. But before realizing her dream, Stacey would have to take a few detours on her path to reporter-hood. She first worked with Nick Clooney, father of George, as an intern during college at WKRC in Cincinnati. So it was with great joy that she had the opportunity to work with him as an assistant on the early court show On Trial. And to help supplement her income during these lean years, Stacey did what every newbie to Hollywood does: try her hand at game shows. Not many people can still win $6000 on Match Game after answering “prosthesis” to the question “Jack was so tough, he ran a marathon after getting a ______”. 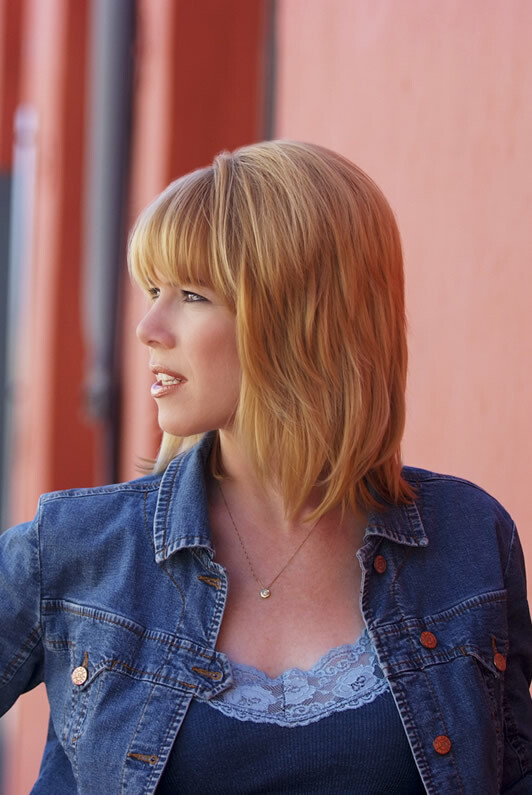 Stacey is now a Las Vegas-based producer/reporter and freelances for EXTRA, E.T., Crime Watch Daily, Inside Edition and MTV UK. She also recently reported for KTNV/Ch. 13 Action News in Las Vegas. She earned an Emmy for Breaking/Spot News coverage of a three-car crash that happened just feet from where she was reporting live from a candlelight vigil for another accident victim. She also secured several exclusive interviews, and filed stories on everything from crime and investigations to Mayweather fights and Dancing With the Stars. Stacey serves as host of “The Women’s Eye Radio Show” on iTunes, and contributes to the website thewomenseye.com. Both provide an avenue for today’s newsmakers, authors, journalists, athletes and entrepreneurs to discuss how they are making a difference in “the world as we see it!” She is currently the contributing editor for “Deluxe Version Magazine” and it’s sister web channel “Luxe News Live.” She can also be seen hosting Lifescript TV’s “Ask the Doctor” web-based series in conjunction with Cedars-Sinai Medical Center. This is a show devoted to exploring and finding answers about women’s medical health issues. Stacey began her gutsy style of reporting at AMERICAN JOURNAL and for eight years at INSIDE EDITION. She covered the world of entertainment, particularly celebrities at work, at play and in trouble. From the Super Bowl, junkets, movie sets, premieres and court cases (including Blake, Jackson and Simpson), to award shows like the Oscars, Grammys, SAG’s, Golden Globes and the Emmy’s, Stacey has rarely faced an entertainment story she couldn’t cover effectively. Her reputation for putting an interviewee at ease while asking the tough questions has helped to secure many difficult interviews. She obtained the first interview with Mary Kay Letourneau’s young lover and a rare interview with Kit Culkin, Macauley’s dad, about the case against Michael Jackson, just to name a few. There was also very little she wouldn’t do for a story. Stacey stayed awake for 80 hours to test the effects of sleep deprivation; she painted the Hollywood sign; she changed light bulbs on the Oakland Bridge; she joined Cirque du Soleil; she went undercover as a polio survivor to expose a deceitful televangelist; she flew a plane after only 15 minutes of instruction; she attempted sheep riding; she joined an all-female chain gang, and she went behind-the-scenes at the Bunny Ranch brothel long before Diane Sawyer. Stacey went on to host HALLMARK CHANNEL’S “ON LOCATION”. 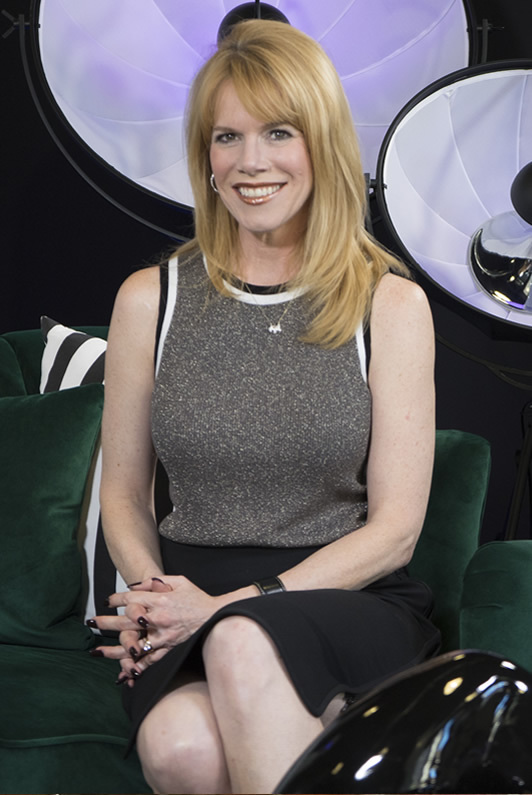 She interviewed the casts of the channel’s original movies in production, and produced the behind-the-scenes specials for this web-based series. She also hosted a multi-media project called UNDERSTANDING CANCER. Both the website and pilot profiled numerous cancer survivors and advocates including Arnold Palmer, Mr. T, Laura Ingraham, and Hilary Swank, and served as a cancer-support network for survivors, caregivers, family, friends and those recently diagnosed. As the host of “ON TOUR” at Fox5/KVVU, Stacey covered the bands and personalities who perform in Las Vegas. Each week, she reported on and interviewed singers appearing in Sin City like Duran Duran, Bryan Adams, and Trace Adkins. 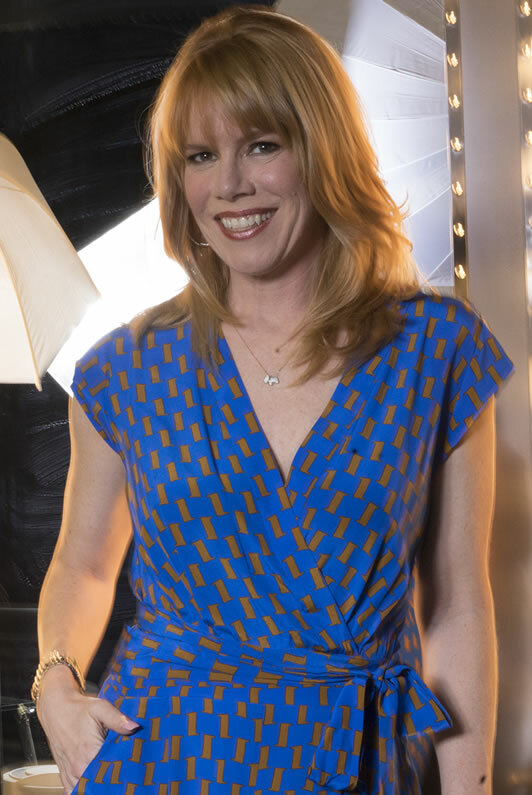 Stacey has also covered Hollywood as a producer for EXTRA and as a correspondent for TV Guide Network. There, she reported the tabloid trifecta: Anna Nicole Smith’s premature death, Paris Hilton’s stint in jail, and Lindsay Lohan’s DUI ordeal. Stacey started a Hollywood chapter of Dining for Women, a national “giving circle” that helps raise money for designated charities every month. She helped raise thousands for the YAS Spin-a-Thon for Think Cure; she served as host for the Bogart Pediatric Cancer Research Program’s “Bogart Backstage”, the Youth Support Institute’s “Golden Youth Awards” at the Friars Club, and the Jeremy McGrath Super Cross Invitational. 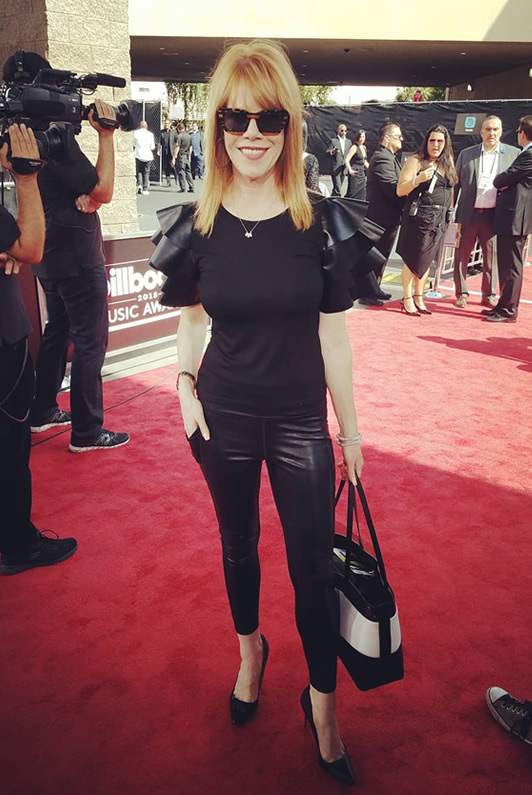 Stacey has also participated in the Malibu Triathlon benefitting Children’s Hospital LA, the Merv Griffin/Beverly Hills Country Club Tennis Classic, the Challenged Athletes Triathlon and the Susan G. Komen Annual Fashion Show for the Cure. She has also co-hosted the Miss Burbank pageant. Stacey earned a BS degree in Broadcast Journalism from Miami University. While attending college, she worked as an on-air radio broadcaster for the campus radio station WMUB and also spent a semester studying in Luxembourg. Stacey is also a certified yoga and spin instructor and enjoys running a marathon every 10 years. She lives in Las Vegas with her husband Marty, and mutt Bobo. Stacey serves as host of “The Women’s Eye Radio Show” on iTunes, and contributes to the website www.thewomenseye.com. Both provide an avenue for today’s newsmakers, authors, journalists, athletes and entrepreneurs to discuss how they are making a difference in “the world as we see it!” She is currently the contributing editor for “Deluxe Version Magazine” and it’s sister web channel “Luxe News Live.” She can also be seen hosting Lifescript TV’s “Ask the Doctor” web-based series in conjunction with Cedars-Sinai Medical Center. This is a show devoted to exploring and finding answers about women’s medical health issues.